The Hanover Pull-Down Faucet is sure to be the conversation piece of any kitchen. The Hanover features innovative Anti-Splash Spray Volume Control technology, allowing users to select their desired water pressure. This offering of kitchen products is available with a single handle configuration complete with matching soap dispenser to accommodate a variety of kitchen sinks. Magellan Faucet Washing dishes is a daily experience. Elevate it. Made from stainless steel and high quality ceramic cartridges, this stylish kitchen faucet is a work of art. The pull-out faucet makes cleaning up simple and saves on water. 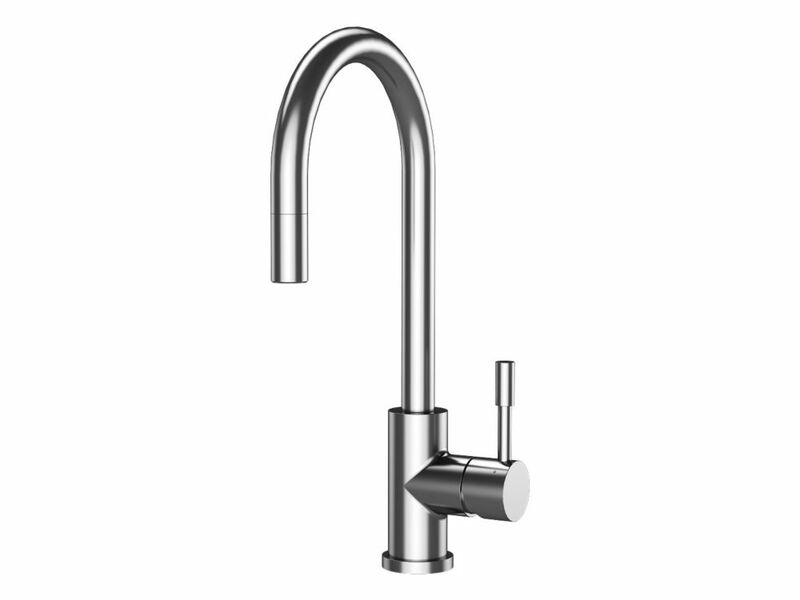 Elegant and ergonomic single-lever water and temperature control. Mounting hardware and hot and cold waterlines included.